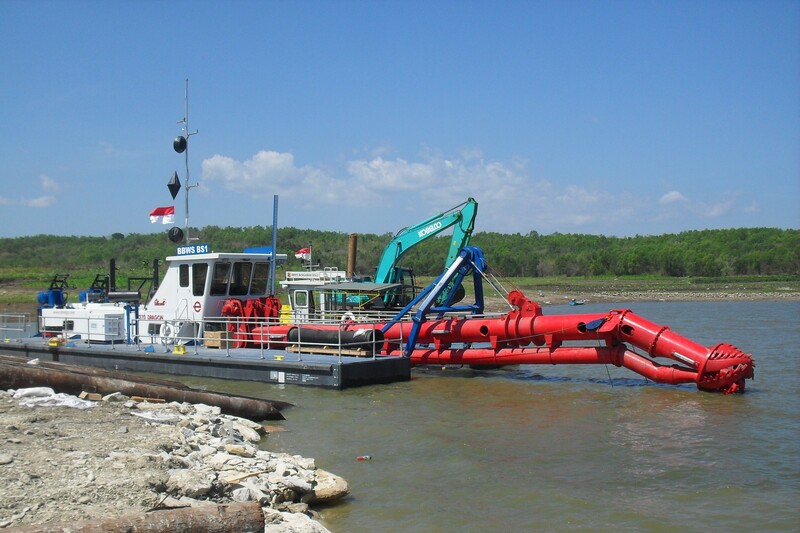 This versatile cutterhead dredge offers good production rates for dredging depths up to 50’ (15 m). With a moderate physical size and emphasis on simple straightforward controls, training is easy. The 1270 Dragon® dredge is a medium-sized dredge that is typically used for ports, harbors, rivers, and inland waterway dredging projects. • Compact design allows for rapid deployment and mobilization. Fairly easy to tow and maneuver in confined areas. 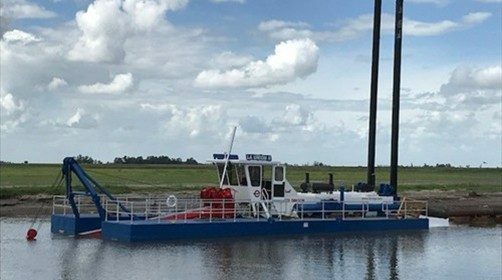 • Equipped with two separate diesel engines, one of which is totally dedicated to the dredge pump for optimal production. • Dredge productivity in confined dredging areas may be increased substantially with the optional spud carriage feature.